He’s a world of coos and smiles lying on a picnic blanket on a perfect September Sunday. I’m lost in his beaming again, like the love-struck mama I am, eight months and 14 days into this baby love. But he’s looking beyond me at a world of dappled light through the shimmering leaves of an oak in its full-summer glory. I’m enjoying just watching him while he gazes happily at this outdoor mobile of light and branches, so much better than anything his nursery boasts. The sun is beginning to dip below the line of the hanging limbs and is now looking me in the face. I feel the heat of its stare but don’t mind. The breeze catches my attention and lifts my glance up to see a hawk gliding through the air above, catching wave upon wave of updraft until I must strain my neck to see its perfect pleasure so high above. It glides lower now in slow s curves, seeming to revel in the pure motion and grace of its descent. I can hear the warm baritone of my husband’s voice several yards away. He’s happily caught up in conversation with another doting father, while my older son—just two and a half—and his new playground pal share giggles and sit super close, the way children do when they’ve found instant friendship. I love these Sabbath days. I love how they slow us down to see the beauty of our blessings. I love how they allow us to feel the pleasure in simply being. I love how they whisper to us of the goodness of God, who built such a day into the rhythm of His creation that we might know rest. 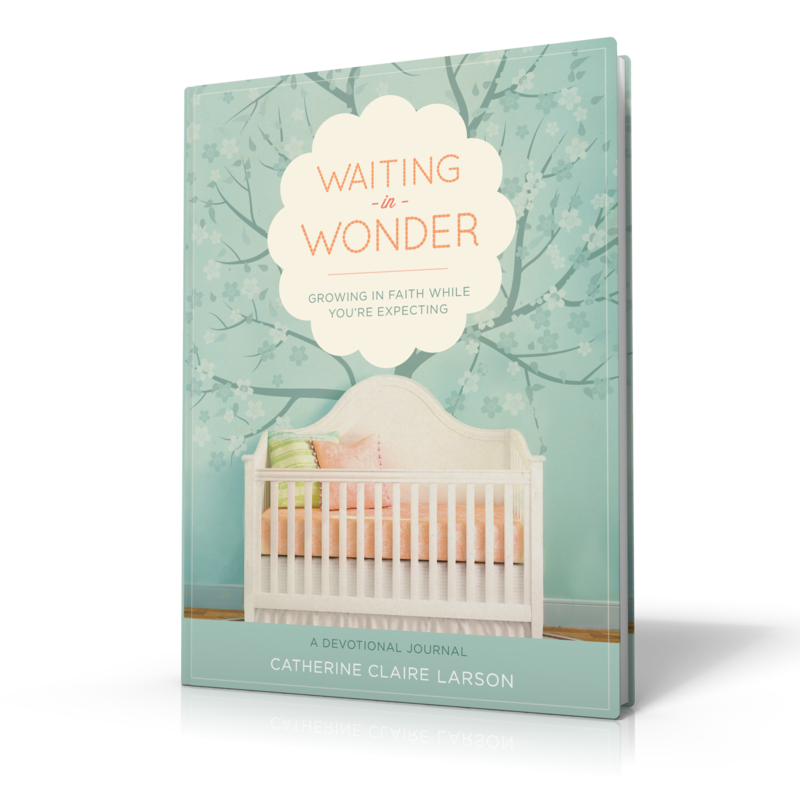 Why do we so often sabotage this goodness God has planned for us by treating this day like any other? Why do we resist rest? Perhaps deep down we know that rest leaves us exposed. It exposes the lies that our worth is found in our doing, that our busyness is a true measure of our importance, and that it all depends on us. 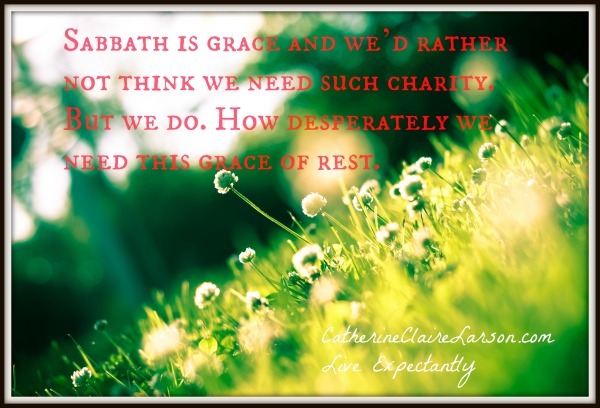 Sabbath is grace and we’d rather not think we need such charity. But we do. How desperately we need this grace of rest. Most of us, myself included, run from Sabbath. We run either straightway into legalism—making it all about rigid rules–or headlong into license—dismissing its importance altogether. But on the days when I listen, I hear the echo of my Lord’s words from that long-ago Sabbath day when he healed and fed his followers, “The Sabbath was made for man, not man for the Sabbath” (Mark 2:27). God made this day for us. It is a gift. Can we open our hands to accept it? Can we align our lives around the rhythm of renewal? When we do, we will find a weekly re-creation. We will be made new again to the joy of simply being His creation, to the rightness of how he made us to be in relationship with Him, with each other, and with this world He gave us. We will find the burdens of our own making slip from us as we soar on the updraft of His grace.